On the 30th of May, a charity curry night - organised by the Mayor - took place at a local Dartford venue, which was designed to raise as much money as possible for the Mayor's chosen charities. 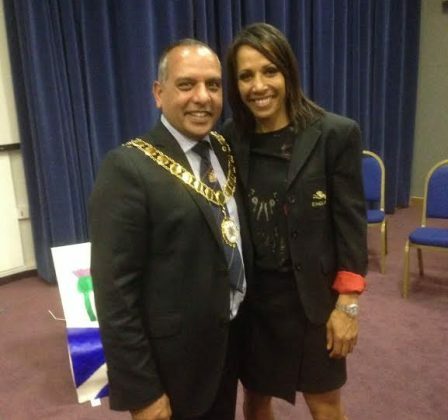 The Mayor himself attended the event, and was therefore able to socialise with a few of his guests during the event. Overall, over -1500 was raised for his chosen charities, and the Mayor has several other events in the works. On the 31st of May, the Mayor of Dartford - along with Dartford MP Gareth Johnson and Swanscombe and Greenhithe Town Council Mayor Coun Sue Butterfill - visited the Dartford Men's Shed open day in the Orchards Centre. The group, which started up in April, is a group promoting the health and wellbeing of older men. 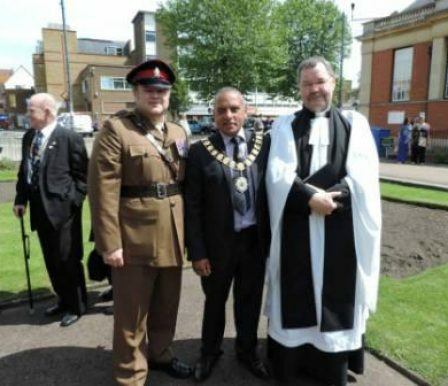 On the 1st of June the Mayor of Dartford attended an event at the Bandstand in Gravesend Borough. During this event, bands played on the bandstand and Mayor was able to socialise with members of the public around him. The Mayor enjoyed being able to take part in an event where socialising was a major aspect. Later on in the day on the 3rd of June, the Mayor met participants of the Duke of Edinburgh Bronze Award Photo Exhibition, where the Mayor viewed the great talent presented by the participants. On the 4th of June, the Mayor of Dartford waved off local residents who were on their way to France in order to view the World War battle fields in France. Later on in the day on the 4th of June, the Mayor attended a BNI (Business Networking International) networking event at the Birchwood Golf Club, in Wilmington. This was a great opportunity for the Mayor to meet new people and businesses. On the 5th of June, the Mayor played his part in the Queen's baton relay, by touring the baton around Dartford. Many children around Dartford took part in activities which the Mayor visited with the baton. The Mayor later continued the event to Maidstone. On the 6th the Mayor attended the signing of the Armed Forces Covenant, where the borough agrees to house the armed forces - taking them under their wing, so to speak. Later on in the day, the Mayor attended an event to commemorate the 70th anniversary of D-Day. He was joined by a great deal of people, including many of the older residents who may remember the time. That evening on the 6th of June, the Mayor attended the Stone Scouts group's Annual General Meeting. While at the Stone scouts AGM, many issues were discussed including important legal aspects of the scouts group, including key mandatory business areas. The Mayor also handed out awards to the scouts - which included trophies and certificates. The Mayor attended a church fete at St. Mary's church, beginning by officially opening the church fete. The fete was a festival where a few different activities took place. The Mayor was glad to do his part in opening this fun and social event at the church. On the 8th of June, the Mayor attended yet another scout Annual General Meeting - this time for the 5th Dartford Scouts. Once again in this event, there were several key aspects of the group that needed discussing - including the business aspects of the group, as well as any legal matters that came up. In addition to this, this was also the 5th's activity day, meaning that many scout activities were on-going. Later on in the day on the 8th - Remembrance Sunday, the Mayor attended a service of remembrance at Eltham Crematorium, where he - along with other members of the society - remembered those lost during the war.